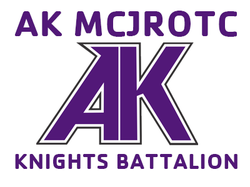 The AK MCJROTC Cadet of the Month is a recognition program that honors First Year Cadets knowledge. leadership and performance both in and out of the classroom. Each month First Year Cadets are selected for this honor by their MCJROTC classmates and are then reviewed by the board to determine which cadet is chosen as Cadet of the Month.